With Millennials setting aside an estimated $226 billion for travel during 2015, they’re becoming an increasingly valuable customer base for airlines, hotels and other travel brands. Marketers clearly need to invest in reaching this younger audience, but they can’t rely on traditional channels like TV or radio to forge a connection with them. Instead, travel brands need to go to where Millennials are actually spending their time, and there’s probably no more important place right now than Instagram – especially when you consider that it’s become the default option for travelers to post their whimsically-filtered photos. So far, however, the travel industry’s been relatively slow to invest in Instagram and other visual inspiration channels because of their traditional orientation towards direct response. 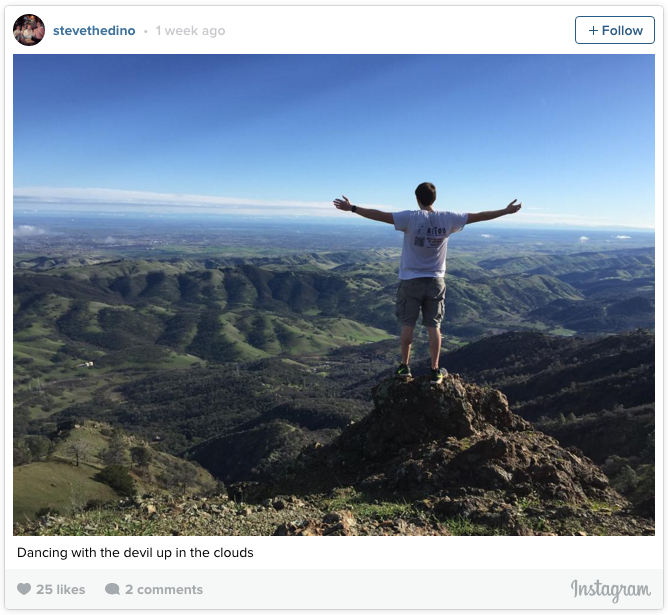 Marketers in this vertical are used to setting up campaigns that deliver a clear return on investment, in terms of bookings – and of course, you can’t book a flight or a hotel room directly from your Instagram feed (at least, not yet). But to neglect Instagram for this reason is to miss the point entirely – the platform should be treated as a channel for branding and inspiration, not sales. Millennials are visual inspiration shoppers, they’re less likely than those older than them to have a clear idea of what they want at the outset of their search, and this especially pertains to travel. They’re also more likely to use social media for research – planning as much for activities as well as where to stay. Instagram’s a platform where authenticity rules – and as such, regular people’s photos have a lot more credibility than professionally-staged branded content. So while travel brands should certainly be posting their own photos and dedicating resources to their efforts, getting visitors to post pictures of relevant destinations and experiences is considerably more effective due to word-of-mouth amplification. Easier said than done, of course, but it’s important to review your assets with an Instagram design eye. If you’re a hotel brand, you could think about redecorating your lobby or common areas to make them more visually appealing for the camera. Or if you’re a hiking operator, you could consider recommending a few places for your guests to take photos. Of course, you should also let the data speak for itself. If hotel guests are already taking pictures of their bathrooms, a savvy marketing manager might think of ways to make the design of that particular space – be it the arrangement of the soaps and shampoos or some other detail – more intriguing to generate more images. Show visitors you’re listening by liking and commenting on the photos of guests who post pictures of their experience with you. These small actions will go a long way toward fostering loyalty toward your brand. You can also take it a step further and offer coupons or credit to guests who tag your brand in their posts. Of course, not all Instagram users are created equal in terms of value to marketers – a photo by an influencer with massive reach is inherently more valuable than a picture from a person with 50 followers. Especially valuable are those influencers who seem to make a living from globe-trotting and posting beautiful pictures along the way. Marketers often underwrite those adventures, and it may be worth it for your brand to work to sponsor an influencer’s trip, paying for some of their travel costs – especially if you identify an influencer whose style and interests perfectly align with your brand values. Millennials are using social media to research travel activities, not just hotels and accommodation. So if you’re a brand like a cruise line, you should think about how to feature events and adventures, like shore excursions or dipping a perfectly pedicured foot into the pool, on Instagram as much as possible. This is another instance where you should let data be your guide: the bulk of your brand’s Instagram photos should be of areas that are proven to be of greatest interest to guests, even if they’re not as aesthetically stunning as other potential shots (back to your cool bathroom, for example, rather than your beautifully up kept garden). So, as you’re planning your holiday travel campaigns, keep Millennials and their increasing financial power in mind. Remember that they’re influenced by visual content, especially if it originates from “regular, everyday” people. It’s not only less expensive than a TV spot, but it’s also bound to be a lot more authentic, which goes a long way with today’s Millennials. This piece was originally published on Social Media Today.